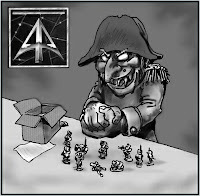 Hello everyone and welcome to the last announcement of the year and as we see out 2016 I want to tell you a little about what is coming your way from Alternative Armies in the first month of 2017. 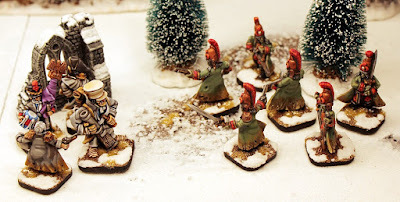 There is a lot happening in January but for wargamers who are keen on the World of Valon and especially Flintloque we will have a brand new beginners set called 'Escape from the Dark Czar'. The World of Valon is a vast and deep fictional world which has many game systems and several thousand miniatures involved with it. 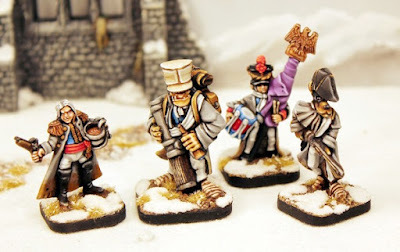 While some are familiar with the world though Flintloque and Slaughterloo through their books and others enjoy collecting and painting the figures instead we are often asked where to begin with the world. 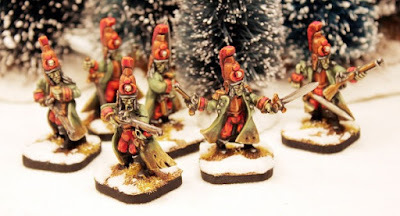 The right place to start is with Flintloque and some small skirmishes before moving on into larger and more complex scenarios and then if you choose to getting into mass battle with your miniatures. Until now we have offered the 'Flintloque 3rd edition Lite' digital document which has been around for more than five years. 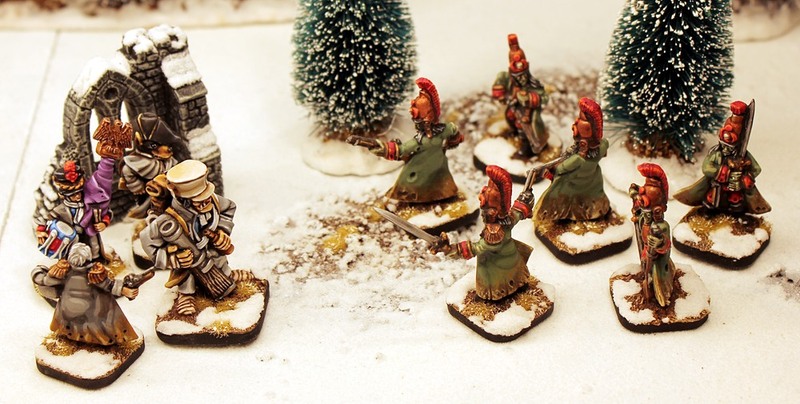 We also have the Shilling Starter Packs which contain a full game book plus white metal miniatures from the range. Come January there will be a new starting point. An affordable new beginners set which will have its own booklet and new miniatures. 5024 Escape from the Dark Czar. 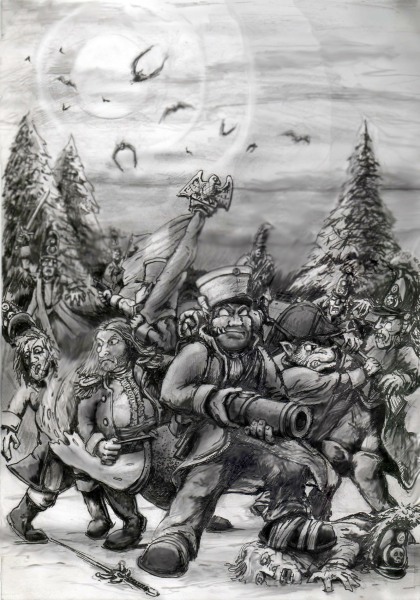 What is Escape from the Dark Czar? The answer is two things. 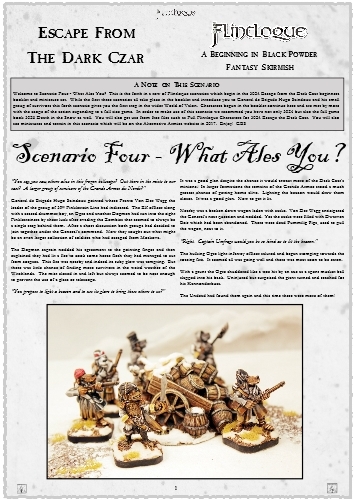 It is a twenty four page booklet which contains the core rules for Flintloque as well as an introduction to the Witchlands campaign as well as character profiles and three linked micro scenarios and pre-filled rosters written by Gavin Syme (GBS). This booklet will come with ten brand new miniatures special to it sculpted by Sam Croes. 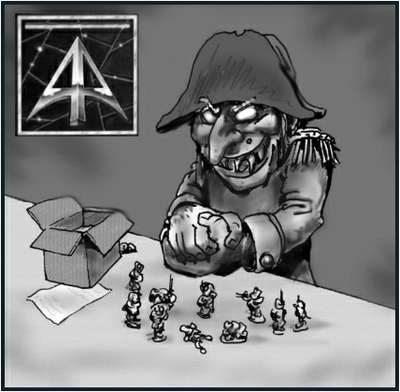 The miniatures will be high quality resin and will come with our cartouche bases and of course a pair of dice. The miniatures have been specially created to fit into any Ferach Empire or Witchlands force which existing players have and for new players they are a nucleus to start at. The booklet will be in print with the miniatures and it will also be a digital paid download as well on our website. We will go into more detail come the new year about the miniatures and the survivors led by General de Brigade Hugo Saindoux who are trying to evade six dismounted Savant Zombies commanded by Captain Preserovitch who are under orders to kill them and capture the golden eagle carried by the youth Ayers Quinte de Toux. As you can see they are superb and filled with character! The new beginners booklet features photographs as well as brand new artwork by Edward Jackson including a great new large cover image depicting a brave stand by the four Ferach survivors which fate has thrown together. The Kannonderbuss of Captain Boell Umfrage the Ogre could make all the difference. Edwards art brings the World of Valon to life on the pages of all our books. 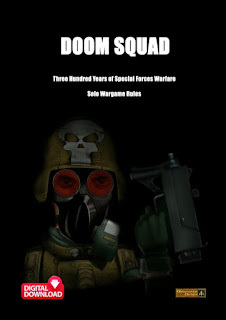 There will be free digital files to support this new beginners booklet including expanding the characters and giving such things as solo play mechanics. 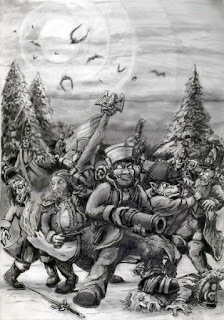 Indeed the characters of Escape from the Dark Czar will feature in further scenarios as they meet up and cooperate with other scattered survivors while the Undead will need more necrotic muscle to bring them down. 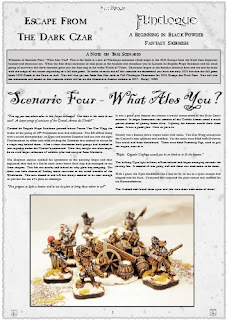 As part of the Orcs on the Webbe 2016 Advent Calendar I agreed to place the first of these digital files as Day 20 and you can see it HERE or if you prefer download Scenario 4 What Ales You? from HERE from at our Dropbox directly. From all of us at Alternative Armies including 15mmcouk and The Ion Age we wish you a very Merry Christmas and a Happy New Year. Have some good games with friends if you can! It will be a cold, cold winter in Moskova....but more on that in January. If you wish to be informed personally when the new set is online email us on enquiries@alternative-armies.com and we will do just that. Figures look lovely!! Looking forward to this. Thanks. Not long to wait now!